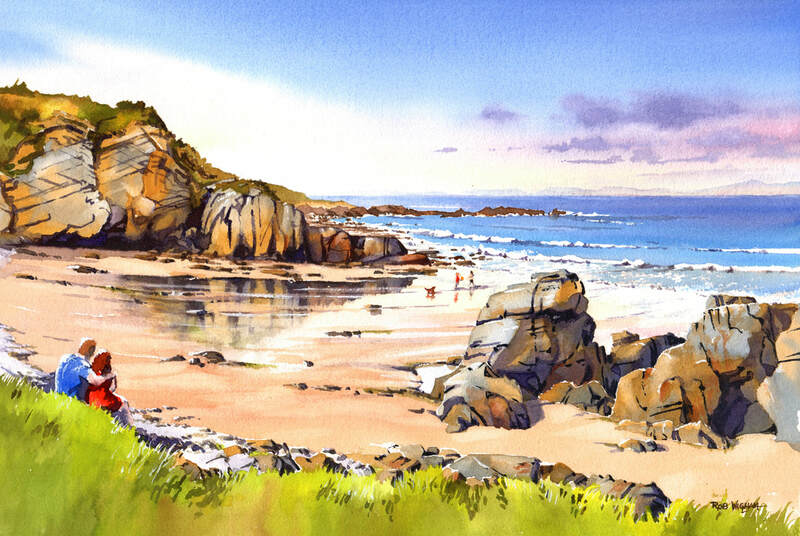 'Sunshine at Cove Bay, Hopeman', watercolour, 53 x 35 cm. This is a beautiful little bay close to Hopeman on the Moray Firth in northern Scotland. Here it is bathed in the early afternoon sun! ​The original painting is available at £160. Small: Image 24 x 15cm, £17 unmounted or £20 mounted to fit a 14 x 11" off-the-shelf frame. Large: Image 37 x 25 cm, £24 unmounted or £30 mounted to fit a 20 x 16" frame.